Adding life to the strange new world of adventure Mazcab three young goebies. Play call of the ancestors - our first bottle of pursuit. Tuska speak Tunks back on. Once the task begins, you will go through with the young goebie Tunks portal to meet Aka Kanatah, who is determined to dig his heels against airut impact. You will accompany Tunks and his two friends - Pike and lunch - when they embark on journey of discovery: expose their lost history, and used his authority to the young goebies never knew them. Award includes tickets, reroll your team boss loot, magic XP lamps and goebie warpaint equipment. There are post-task content discovery - we must find Tunks, you're done! Enjoy! Each week, we develop yourself as a flow in the game activities. Watch our streams and find a complete streaming arranged our twitch channel. 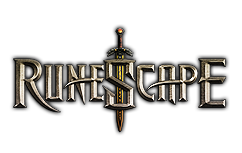 Check out our YouTube channel for streaming video recap, you may have missed, including our RuneFest video! This week saw a special task Q & A, as well as the largest return of competition had never seen one of Gielinor: Zamorak VS Saradomin! Join a special cast lore hobby JMods sofa, this week, we discuss all things questioning - past, present and future. It is essential for you to watch all the lore hound. Do not miss! This is a typical grudge match: Saradomin and Zamorak! We will kill 1000 K'rils and Zilyanas see once and for all who is better - or who have a more valuable booty.